People have mistaken me for being Asian more times than I can count. Maybe it was meant to be that I’d end up here on this side of the world, but I’ve always been drawn to Asian food and culture, never dreaming that living here would be remotely possible. Now I call Malaysia home, and I feel home in many ways. Let me update you on life as of late. These days, Laurens, Tiga, and I call Malaysia home. This new move has been a continuation of our adventure in Asia, and so far, we’re loving it. One trip back to Texas and three months later, time has moved quickly in this new country, in this new city. With the plan to stay two years, we packed our bags and shipped our crazy cat with us to embark on the next exciting chapter in SE Asia. Overall, I feel energized, optimistic and happy here, taking in the subtle cultural nuances and adapting like I do. The best part is the beginning when everything is new and every weekend is a chance to explore the city. The introduction here was definitely more fluid and less jarring than it was in Indonesia or France. I mean, the practical concerns of a new city can send anybody’s head spinning. Will there be anything fun to do? Any friends to make? Is safety an issue? The language? Luckily all of the answers to these questions are positive this time around! The cultural landscape in Johor is undoubtedly Asian, but manages to remind me of American consumer culture. For instance, huge importance is placed on shopping, eating is a pastime, and minimal amounts of walking is ever done. With shopping mall after shopping mall lining the roads, it’s easy to see the comparison. Malaysia is many things and getting comfortable here involves learning and absorbing more than one type of culture and people. Whereas in Indonesia I got stares and stood out, here, I blend in with locals since people think I could be Malaysian, Chinese or mixed. As such, blending in is much easier and so is integrating. Expats are not a rare sight to see here. I love that this is multi-racial country, with multiple religions and cultures living side by side. The three main ethnic groups are the Malays, Chinese and Indians, and this religious and cultural diversity makes JB and Malaysia in general, extremely interesting. Even with all the mixed people and cultures, almost everyone speaks English or some form of Manglish, which made the transition so much easier. Malaysian English is hard to understand for the untrained ear and it’s kind of like colorful slang that cuts corners with a heavy accent and lot’s of lahs peppered in-between words and at the end of sentences. I once had a full conversation with a Chinese Malay man in English, but literally didn’t understand one.thing.he.said. Luckily, I’m getting better at filling in the blanks. 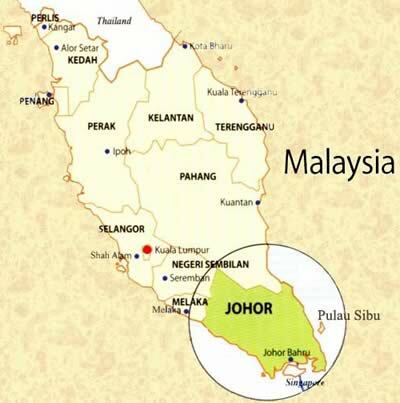 You might be wondering, where is Johor Bahru? There’s Singapore below, a tiny island compared to Malaysia. So, we live in Johor Bahru, or JB as they call it, at the southern tip of Malaysia, serving as a gateway to Singapore, also known as Asian utopia and one of the most expensive places in the world. With only a small causeway separating the two countries, the vibes couldn’t be more different. JB is more affordable, gritty and industrial by comparison. Being located on the cusp of both lifestyle options is a great thing, and the major reason I enjoy living here. All international luxuries can be found in Kuala Lumpur or Singapore, so it’s never too out of reach to indulge on a weekend trip. Although JB isn’t Singapore, I can really feel a sense of growth happening due in part to its proximity to people who have the money and are willing to spend. I would say in the coming years, this will the be the place. Three hours away from the capital and in the backyard of Singapore, the opportunity for growth and advancement for this industrial city is imminent, and plenty of people are seeking the chance to build JB’s reputation and pull factor up. With one of the most vibrant economies in SE Asia, Malaysia pulls in so many expats and foreigners who are attracted by the low cost of living, amazing healthcare system, crazy delicious food, sunny weather and easy way of life. More to come on the food later! Me and my love at the fountain at KLCC. Laurens in the cable car in Singapore. At one of the many huge malls in KL. I’ll I can say is the shopping IS AMAZING. Finally having an established home is the biggest reason my heart and mind are at ease here. Each taman (garden) in JB has its own personality and happenings going on, a lot like suburbs are divided up in the States. We made sure to pick a good neighborhood (Taman Molek) near the hotspots in town. For the first time, Laurens and I have a place to call home that we truly like and chose for ourselves. We did our first home shopping spree as a couple for the apartment, and it brought a sense of stability to the experience, like this could be a place to grow roots and really relax. I love where we chose to live, and the best word to describe our building is zen. The Japanese inspired design comes complete with an onsen, pool, tennis/basketball courts, and rooftop gardens offering a simple and warm feeling with Japanese accents. It’s quiet and pretty, giving us the sense of living two cultures in one. So what is my impression of Malaysia so far? Let me backtrack for a second so you’ll see where I’m coming from. Before Malaysia, we lived in a bustling Indonesian city on the island of Sulawesi. Not to discredit the experience in any way, but it just wasn’t the place for me – I didn’t thrive there and didn’t connect to the city we called home. I love a great adventure, but having such limited options in every respect was frustrating at times and wore me down. Coming to JB seemed easy compared to our previous year, so I guess I needed Makassar to appreciate the next city we would move to. As they say, it’s all relative and JB seems like Singapore in comparison now. Having said that, my expectations were incredibly low, but before moving, people cast a dark shadow on the city’s possibilities with snickers and sarcastic jokes. As you can imagine, I was less than thrilled to move here. To make things worse, people kept inundating me with stories of how unsafe it was or and how careful I needed to be as white person. Even the driver who picked me up from the airport was non-stop negative about stories of robbery and muggings. What’s important to realize about JB is that compared to its perfect neighbor, of course it seems dangerous! Singapore touts one of the lowest crime rates in the world, and hey, even chewing gum is illegal there. You get the point. Like anywhere else, when it comes to safety, caution is everything! So, for those of you who are afraid of JB not being safe enough, don’t worry. As long as you’re not being too flashy and use common sense, you’ll be just fine. Overall, I like Johor for the reasons I like Malaysia and SE Asia. It’s a vibrant, hectic combination of nature and city life that when coupled the right way, is so invigorating. Sure, there are parts of town that aren’t nice by conventional standards, but it’s the realness and humble way of life that contrasts with the emergence of great new restaurants, investments in a new, better city that I find exciting. The wide roads remind me of the States and palm trees and toll roads line the well-maintained highways. I can’t forget of course, driving on the left side of the road which is an adventure that I have conquered and feel comfortable with now. Cultural quirks definitely exist like the total nonchalant disregard for time, but most of all? Driving is insane here! People make up their own rules (none at all), so driving aggressively is the only way to go. Imagine no blinkers, lots of cutting into lanes, taking up two lanes at once, and the constant U-turns on all roads and highways. Got to love it. For now, I’m job hunting in one of the strictest countries to get work visas and exercising almost every day to stay motivated, energized and happy. I’ve taken on yoga and Zumba, where I’m the only Westerner in the class. They tease me and say I should learn Mandarin and maybe I should! The best part? I’m getting creative and cooking like crazy again, because it’s easier now to cook with ingredients I can actually find. Ammmmen. 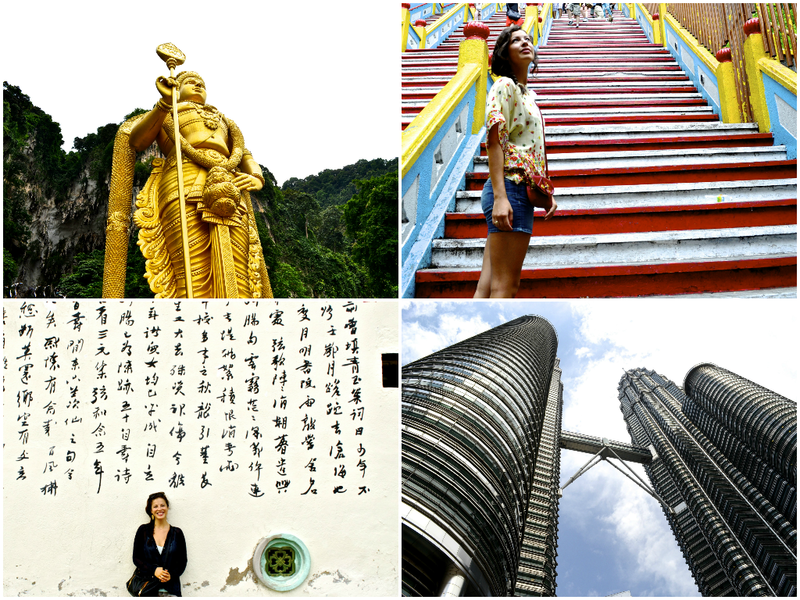 All in all, Malaysia is full of amazingly beautiful places and stunning cities, so we’ve just begun to experience it. For sure, one year isn’t enough to soak it all up. Maybe two isn’t either. For anyone contemplating moving here or needing advice or more info, please feel free to contact me! I have so much to share with you from this city, so stay tuned. Hello, nice post, may I ask you how do you like JB so far, after 1 year you wrote this post ? I’m thinking about relocating my family to JB through the Second Home program but I’m not quiet sure yet. We visited JB a few months ago, kind of rough, like the Philippines but richer of course. We only had 2 days so it’s hard to have a definitive judgment.